As many of you know, I have the great Zchus to be involved with the organization Chevra Simchas Shabbos V’Yomtov (CSSY) which my parents, Shimshon and Martha Stock, ran and operated, after it was initiated by The Rebbe. CSSY’s main purpose is to ensure that Crown Heights families have food for Shabbos and Yom Tov. With the rising cost of living in Brooklyn the need has never been greater and CSSY stands up to provide the demands of these families each week. HOWEVER, CSSY’s work does not end there. In addition to the weekly food vouchers CSSY has numerous special requests from families with independent needs. At this current time, CSSY is assisting FOUR Crown Heights families struggling with teenagers who are in desperate need of rehab. These teens fall into the category of PIKUACH NEFESH MAMOSH and the facilities are the only chance they have to save them. These are terrible times for the families and they need help. These families need the community to step up and assist them during this heartbreaking, scary and challenging time. Our goal is collect $80,000 immediately, to ensure the necessary treatment for these teens and to support their families. THESE ARE NOT TEENS ON THE NEWS, OR IN OTHER NEIGHBORHOODS- THESE ARE OUR CHILDREN IN OUR COMMUNITY. 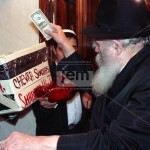 Please open your hearts and wallets and donate generously to www.cssy.org/crisis. On behalf of these families we sincerely thank you for your support. Please note: CSSY distributes WEEKLY food vouchers to Crown Heights families. These special circumstances are in addition to that important work. Imagine reading this outside of the USA, feeling very very sorry for the families, and two minutes later watching the daily Rebbe clip, where the Rebbe speaks about tzedoko in Adar Bais!! So I hope my small donation will inspire others as well. 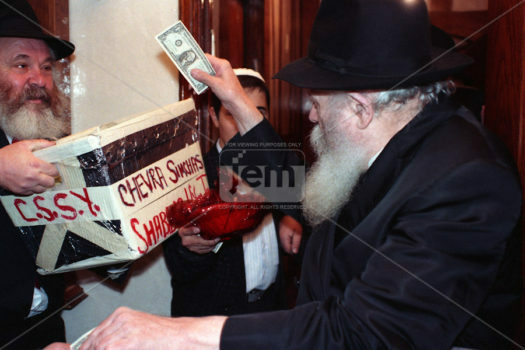 May we know what to do right away without having the Rebbe subtly reminding us! This is an organzation that has been a staple in CH for years! Perhaps the greatest tzedakah org in CH! I lived my first ten years in Crown Heights (1955-65.) I am not a lubicher chasid. I couldn’t pass this by. I hope my little donation will help.